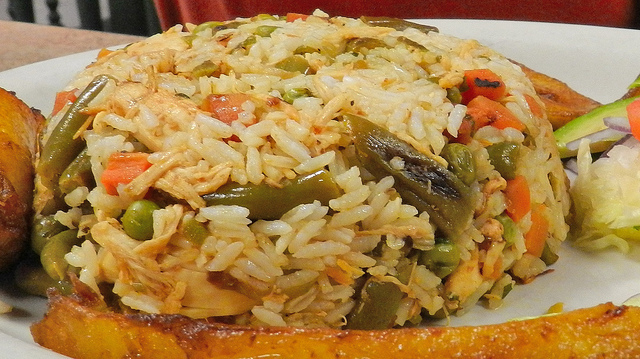 La Casona serves up authentic Colombian fare with a penchant for portion sizes that are easily sharable. Another Buford Highway gem, it sits just off an access rd a stone’s throw inside the perimeter. If you’re headed south it’s much easier to get to, as there is a divided highway going north that will have to be navigated, including a pretty dicey U-turn… if you’re in an SUV you’re screwed. The menu can be intimidating, as it’s quite large, and not all items are translated, so be sure and ask if you have questions. They have soups, salads, chicken plates, specials and arepas to name a few of the options. 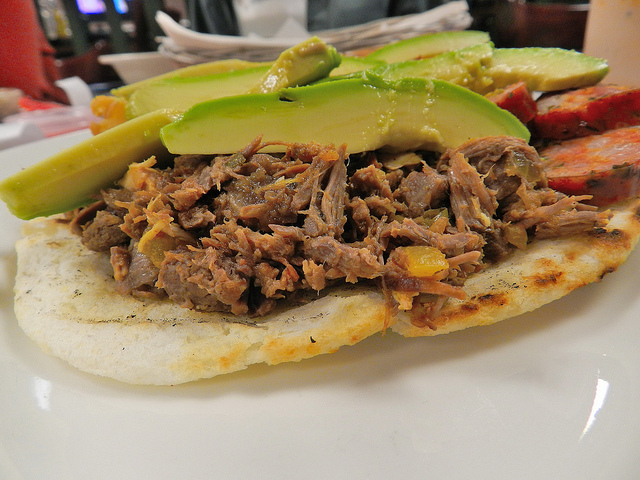 There are many variations of arepas (their version is almost like an open faced pita), including chorizo, chicken, avocado, pork, steak, etc. but your best bet is to go with a combo and try a few of the toppings. The chorizo and pork were my favorite; bursting with flavor and a little bit of spice. 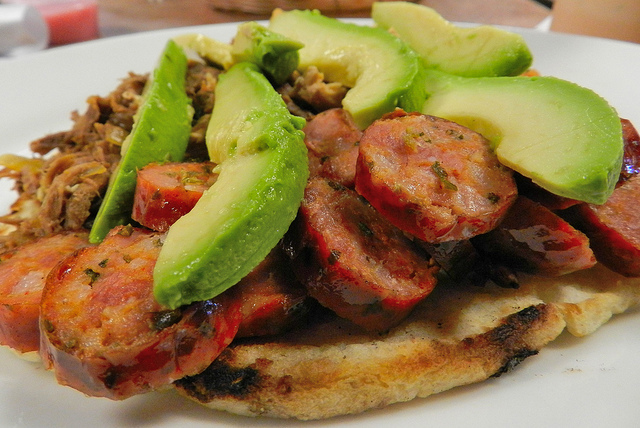 Areapa Combo - chorizo, avocado and slow roasted meat! 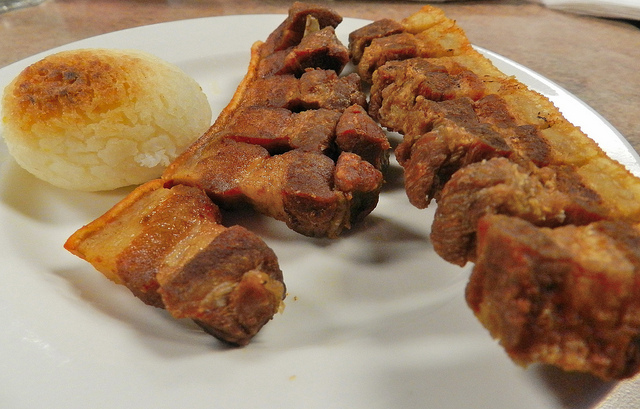 There are also many smaller, appetizer like, items on the menu including real chicharrones made from pork belly. This is equivalent to a deep fried bacon stick with tasty little nobs of pork and fat; however it was too rich and salty for one person to eat a whole order so I shared it with several people…my heart thanked me. Chicharonnes - they came with this tasty little fried potatoe ball, and once again the portion size was ridiculous! 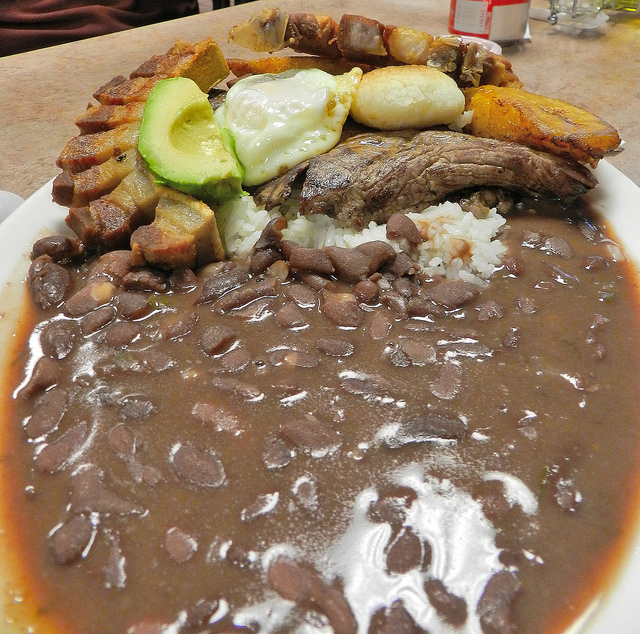 There were so many interesting looking dishes, that you’re probably best served by going with a Bandeja Paisa platter, which is Colombia’s national dish and literally means “big plate of the region”. It has beans and rice, the aforementioned chicharron, avocado, chicken, plantains, fried potato balls and roasted meat; as if that wasn’t enough, the whole thing gets topped off with a fried egg…holy crap. You also may or may not believe this next part, but the picture below is a small…they offer a large for $2 more; I say go for it because you never know what glory that extra 2 bucks might bring! Also ask about their daily specials, as they usually have two or three and involve something a little different; on the day we went they had a chicken/rice/veggie bowl that was well seasoned and served with some killer fried plantains. Aside from the friendly, attentive service each order comes with a dessert/palate cleanser that can only be described as pink jello flan…they’re served in a small plastic ramekin and have the consistency of a really thick, milky jello. I’m sure there is a proper name for it, but whatever it is, it was pretty interesting…that’s all. 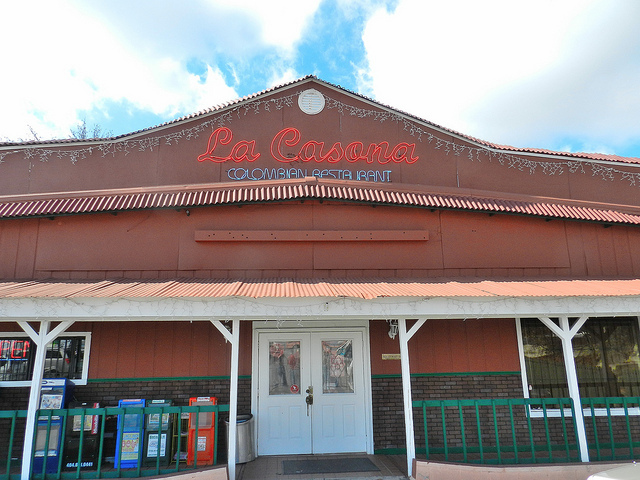 If you like Colombian food or are just looking for a different spin on the Latino cuisine you’re used to, it’s definitely worth checking out La Casona; just remember the portion sizes are huge and you’re best bets are the arepas and the sample platters!